Tell someone they could have any super power they wanted and ask what it would be. I think a surprising amount of people might say time travel. It’s an interesting decision, and one that reveals an individual’s character. There has been no shortage of these kinds of science fiction movies throughout the history of cinema, but it still remains an interesting topic. If you could go back, or go forward, would you? What would you do? Would you change anything, even with unforseen repercussions? That seems to be the biggest conflict and is something that can lead to actions going against one’s own moral compass. 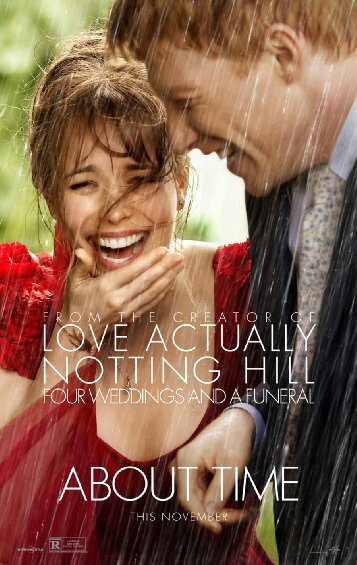 About Time concisely addresses these issues, despite a few lapses in storytelling and logic, and delivers a truly tender film about a special man searching for love. The film was directed by Richard Curtis (Love Actually, Notting Hill) and stays true to the director’s style. You could tell that he made this even if you had seen a handful of his other movies. As usual he chooses to open with a voiceover from the protagonist as we are quickly taken through the set-up and main players in the story. It’s incredible how fast we come to know everyone involved, the setting, and the route the story will take. All we’re left with is finding out where it will end and how it might get there. At roughly two hours, he wastes no time inviting the audience into this fictional world. While it could have been shorter and has some extraneous scenes, it’s refreshing to get to spend almost an entire movie with characters you care about from the onset. 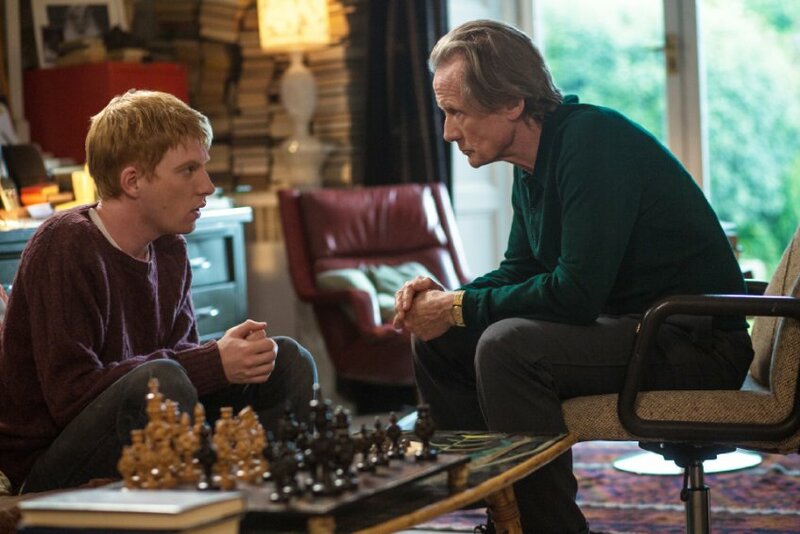 Tim’s father, only referred to as Dad and played by Bill Nighy (Harry Potter, Love Actually) breaks the news to his son. Every man in their family can travel back in time. Go in a dark space, maybe a closet, clench your hands, then think of the desired moment and voila. Nighy excels at telling us exactly how their unique gift works while maintaining his character’s charisma. It doesn’t feel like reading a glossary of terms or a list of rules, more like relaxed guidelines from a father to his son. Tim doesn’t believe his father, so naturally he goes back to the dreadful previous evening. What comes next is thoughtful and charming. We learn that this is a character who can manipulate the way he appears through multiple efforts. It’s like a conversation through text message rather than face to face. Given enough time, anything can be shaped to fit the perceived ideal. With an outlandish mother, quirky uncle, and flower-child sister Kit Kat, Tim is surrounded by people completely opposite of him. He’s the kind of young guy that has an Amelie movie poster in his bedroom. Tim spends the summer following New Years with his family, plus the sister of Kit Kat’s boyfriend. Her name is Charlotte and she is Tim’s dream woman. Played by Margot Robbie (The Wolf of Wall Street) Charlotte is a stunning siren with a soft voice and naïve personality. It’s obvious that Tim adores her, but as so often is the case, she desires to be chased. The summer goes by and opportunities are missed. Until the last night, when Tim utilizes his power and remakes the entire summer. But we learn a fundamental point to the story, as he professes his love to Charlotte; all the time travel in the world can’t make someone love you in return. A move to London post-summer brings new opportunities for Tim, such as a pursuit in law, and love finds him in unique circumstances. My personal favorite piece of the film takes place completely in the dark. I mean pitch black, nothing on the screen. All we hear is the dialogue of the involved characters which stretches on longer than is comfortable. It takes place at a “Dans le Noir” restaurant, which in English means “in black.” Tim and his friend Jay visit the establishment, paired with two women they don’t know, and it’s a lovely scene. It shows the connection you can make with somebody without physically seeing them, yet still being able to absorb them, their real version. In a movie that makes you question the characters’ motives and why they decide to do what they do, it’s nice to see them temporarily stripped down to their foundation. Tim stands outside and eventually meets Mary (Rachel McAdams), the woman he is drawn to for what she is on the inside. And it’s a lovely parallel, that once she comes outside, and he finally sees her, he’s even more drawn to her. It’s pure romance. They lose eachother, then find eachother. Tim uses his time travel sparingly, sometimes to make sure she doesn’t fall for somebody else, others to become an alpha male in the bedroom. There’s a wedding with typical comedic offerings. 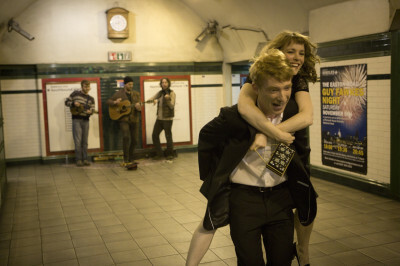 And then comes an amazing montage of Tim and Mary at a train station, departing towards different sides of the rail. It’s brief, but in those few moments we witness how they have grown together and gone from separate lives to a singular being. The couple has their ups and downs as should be expected. The second act is all fun and games, and while it certainly is amusing, it doesn’t seem to go as deep as it could. An old flame predictably comes along and almost sours the relationship. Something with the story goes unfulfilled and I still don’t know what it is. A few scenes just seem to go on and on showing how Tim changes an event, constantly trying to tweak it to perfection. We explore the depth of the character and his motivations through this. All the while I kept thinking about films like Groundhog Day and Back to the Future Part II. If you possessed knowledge of tomorrow, would you change the way you lived today? The answer isn’t so simple for Tim. He makes a few alterations for his own personal happiness, but he constantly tries to look out for those that he loves. His concern is endearing. We root for him. I liked the film once it finished, but didn’t love it. The third act takes some surprising turns and presents damaging ramifications for his decisions to manipulate the past. I took some time to think about it and how the story is structured. In a way, the viewer is like Tim. We have a prescient knowledge of what’s to come but not the exact directions we will take to get there. The movie is thought provoking and the time travel an interesting concept, but it will undoubtedly lose some viewers through ambiguity or lack of explanation. It’s not the director’s most complete work but it is his most challenging. 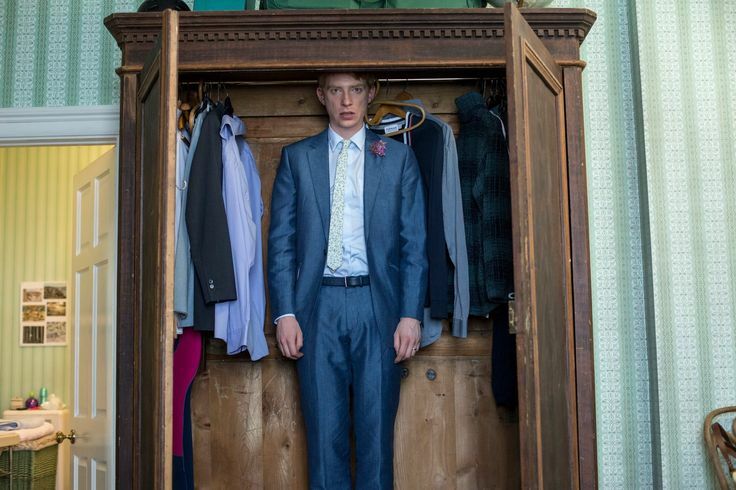 About Time closes on a heartbreaking yet uplifting tone, reminding us that life is not just about the time we spend living, but rather how and with whom we spend living that time.